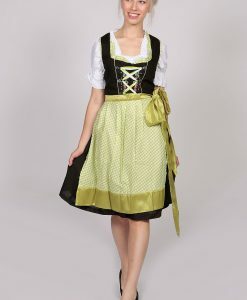 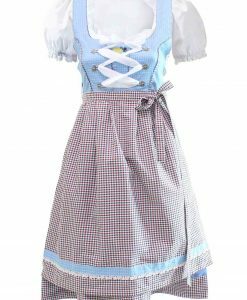 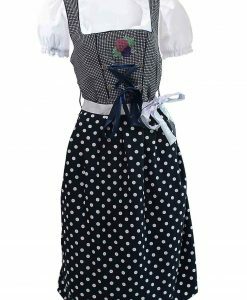 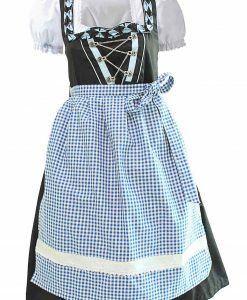 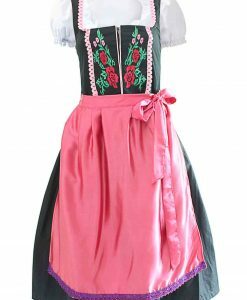 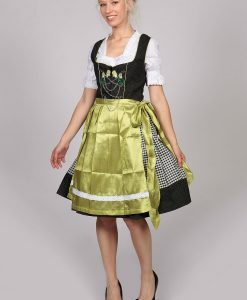 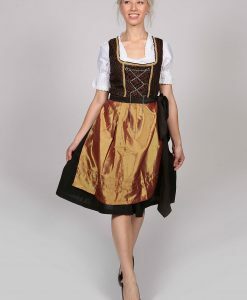 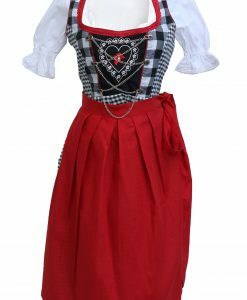 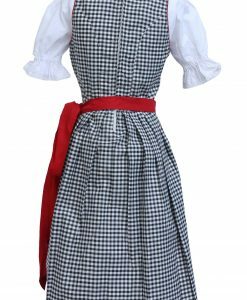 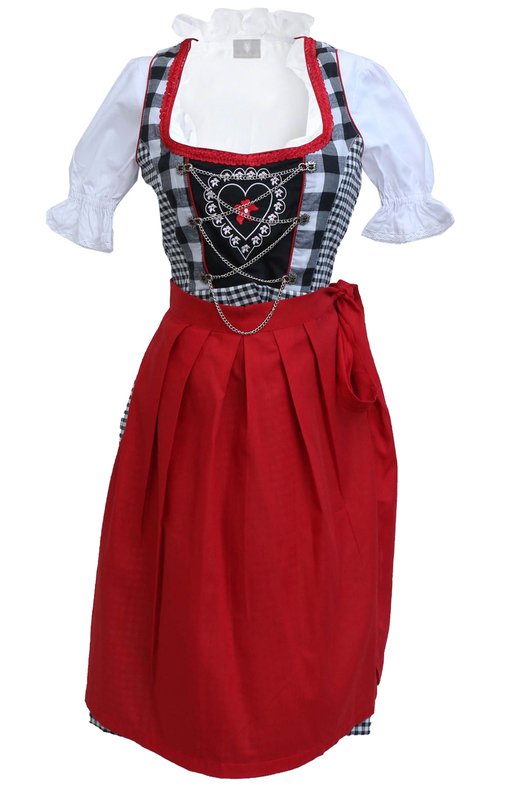 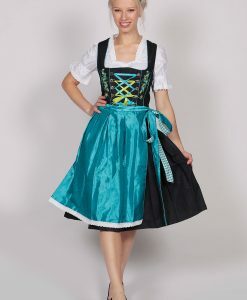 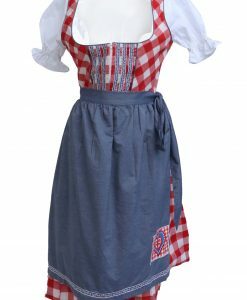 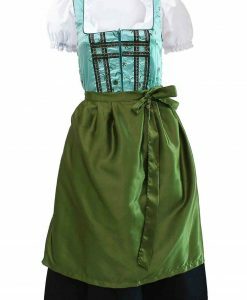 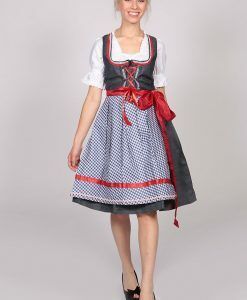 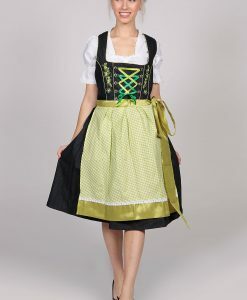 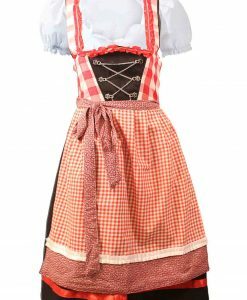 A classical spieth & wensky midi dirndl dress for your Oktoberfest outfit this year! The dress has a stunning bodice with a quarter of wide black checks and the rest covered with smaller check patterns. 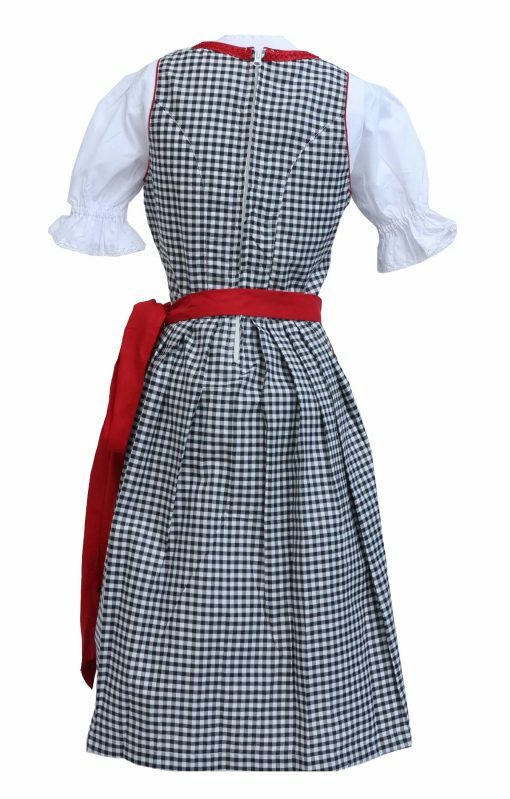 The skirt is small checkered overall, cut as an umbrella frock to enhance the dress flare. 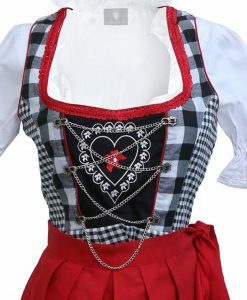 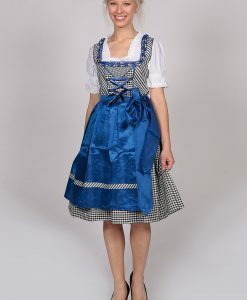 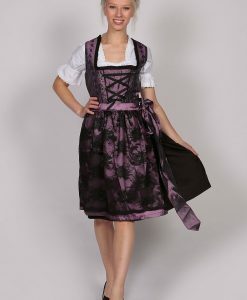 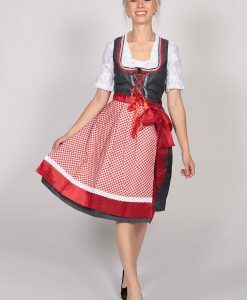 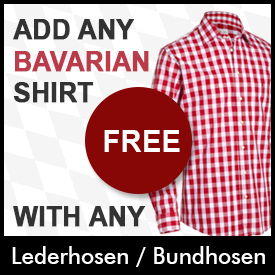 The neckline is deep and round to compliment the traditional German dirndl blouse. 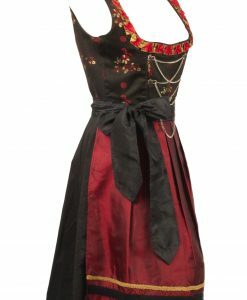 It has a red piping along the neck outline for a vivid look. 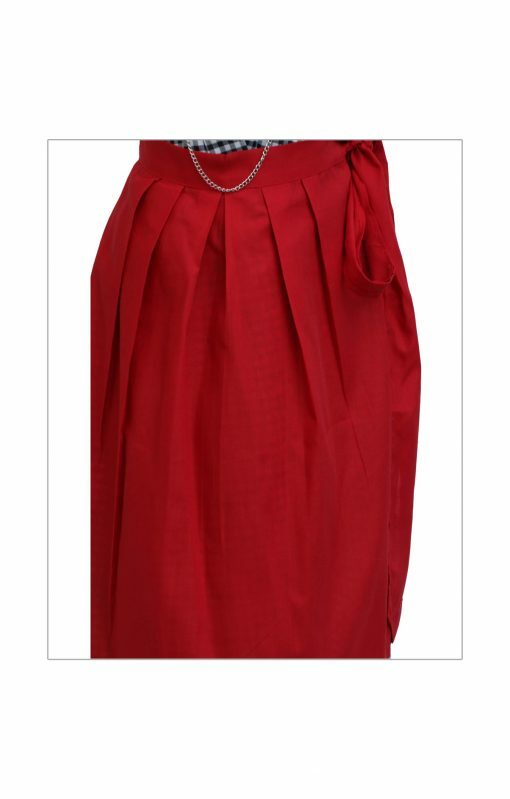 A set of silver chain is threaded across the chest that can be tightened according to your size. 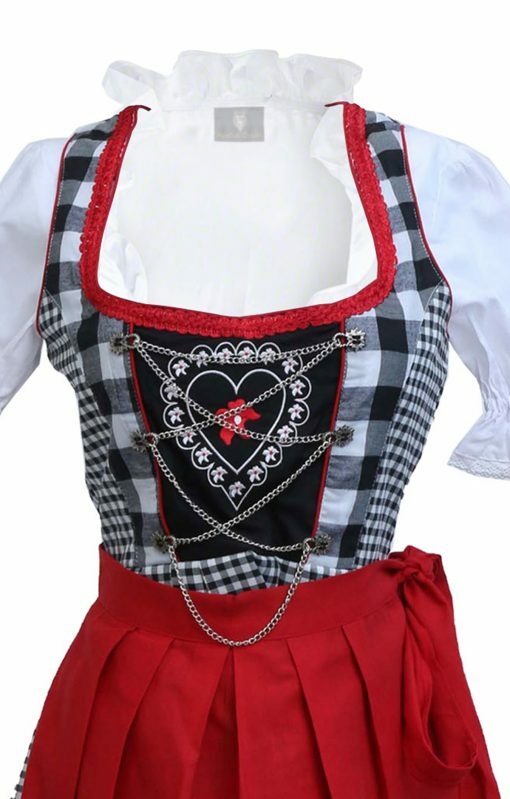 In the middle is a cute heart embroidered in white. 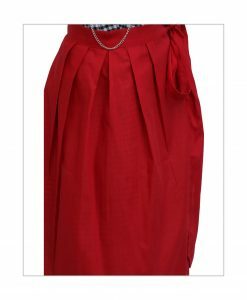 This midi dress has a length that almost covers the knee and would go great with a set of black high heels. 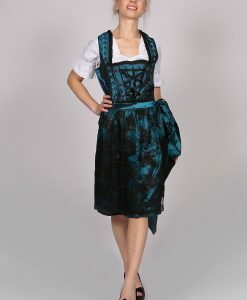 Its a zipper back dirndl dress, tailored for a flawless fitting. 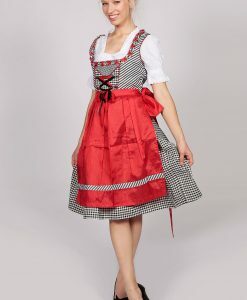 Buy this dress with a lipstick red apron included for free!